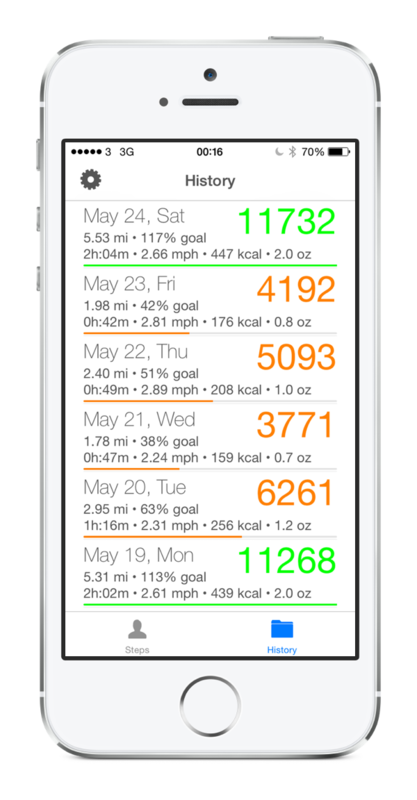 Our StepWise Pedometer & Fitness Companion for iPhone 5S has just been updated. 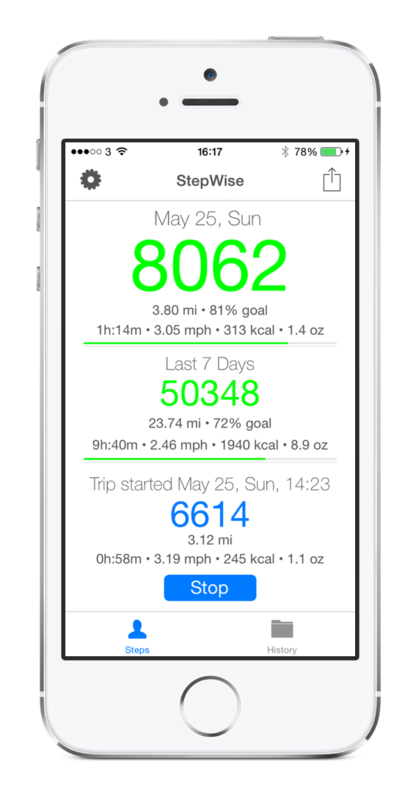 StepWise turns your iPhone 5S into a pedometer, the perfect step counter. It is an easy to use health tracker that is always with you. This walk meter monitors your exercise and will track your steps as you walk run or jog. StepWise clearly shows step count, distance, calories burned, your average speed, how much fat you have burned and active time. A quick look at the progress bars will show you how close you are to your chosen goal. Want to measure individual trips? No problem for StepWise, just hit the start button and StepWise will track it for you! Not only can you see your steps for the current day, but for the past 28 days in the history too. It is a great help those looking to achieve weight loss, perhaps in combination with a healthy diet, monitoring you as you get active. Designed using the M7 motion processor in the iPhone 5S, the StepWise iPhone Pedometer app is the app to measure your trek! And best of all, it won’t impact your battery life!